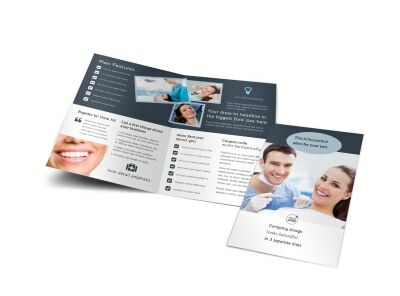 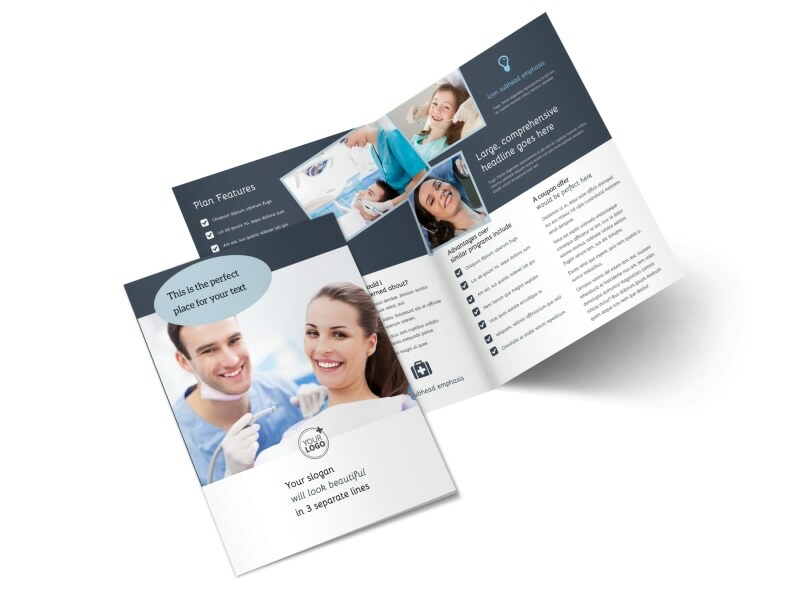 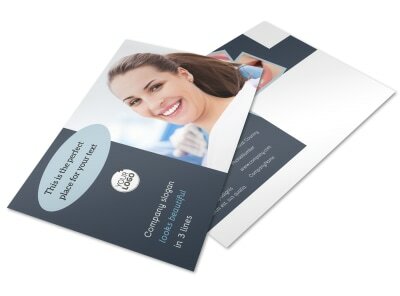 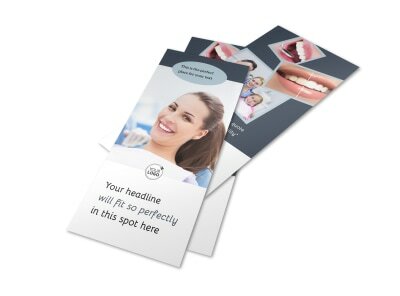 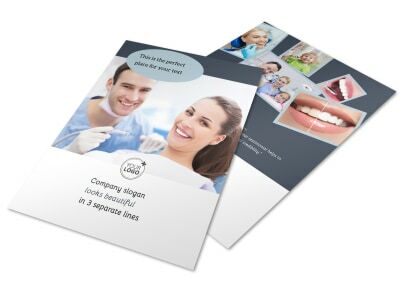 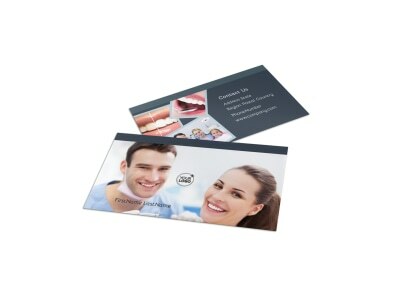 Customize our Family Dentists Brochure Template and more! 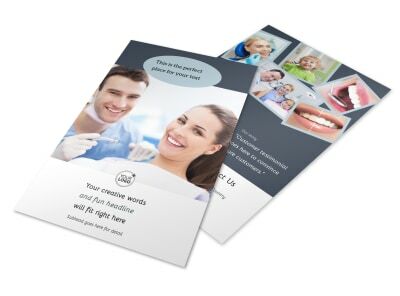 Help families plan their dental care with family dentists brochures that detail the services you offer. 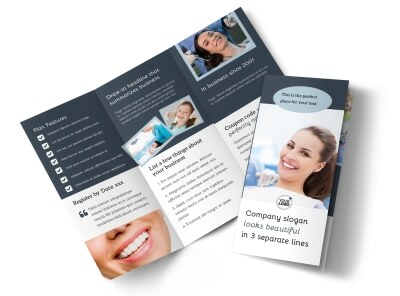 Use our online templates and editor to quickly create bifold and trifold designs that feature uploaded photos, graphics, and more. 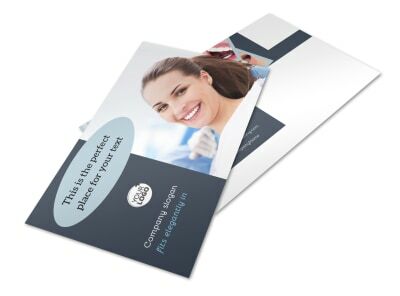 Add text to run down insurance plans and rates, and print your brochures from where you are for fast distribution to would-be and existing patients.